I love coffee and mousse so decided to have a go at an espresso mouse which then turned into a Tiramisu mousse!! This is an espresso mousse, with sponge fingers soaked in more espresso layered on top with Mascarpone cream and chocolate shavings. 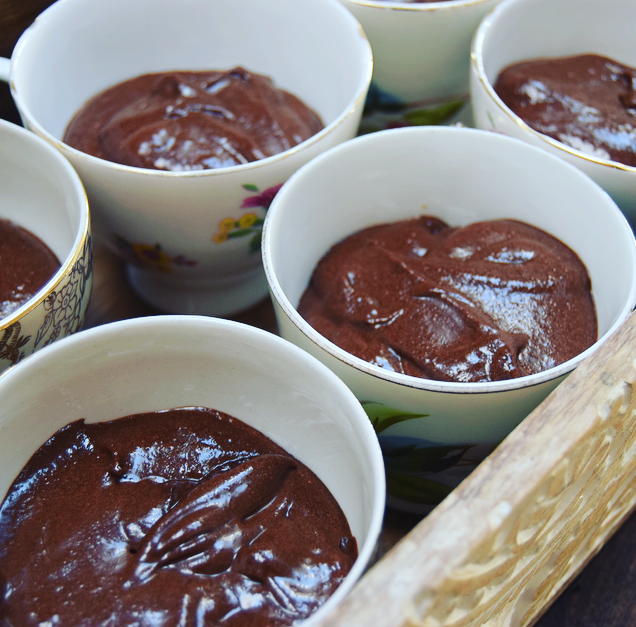 Served in a tea-cup, perfect as a dinner party desert. Alcohol!! It’s best to use Masala wine or Tia Maria but I used rum as I had it in; just a drizzle. Melt chocolate and butter in a bowl above a pan of boiling water; make sure the bowl isn’t touching the water. Do not stir it let it melt. Once melted stir gently and set aside to cool. 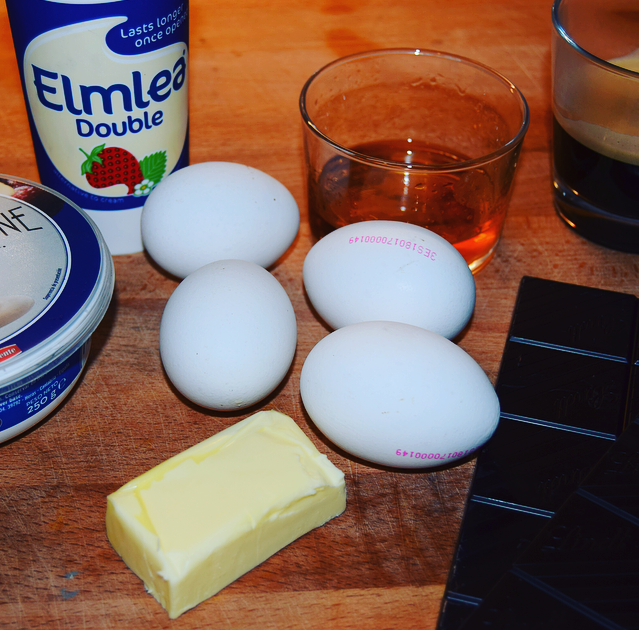 In another bowl place egg yolks and sugar and whisk until it thickens to a foamy mousse. Add the espresso and stir through gently. Add the cooled chocolate into the egg mixture. Whisk the egg whites in another bowl until stiff, you should be able to hold the bowl upside down without any spilling. 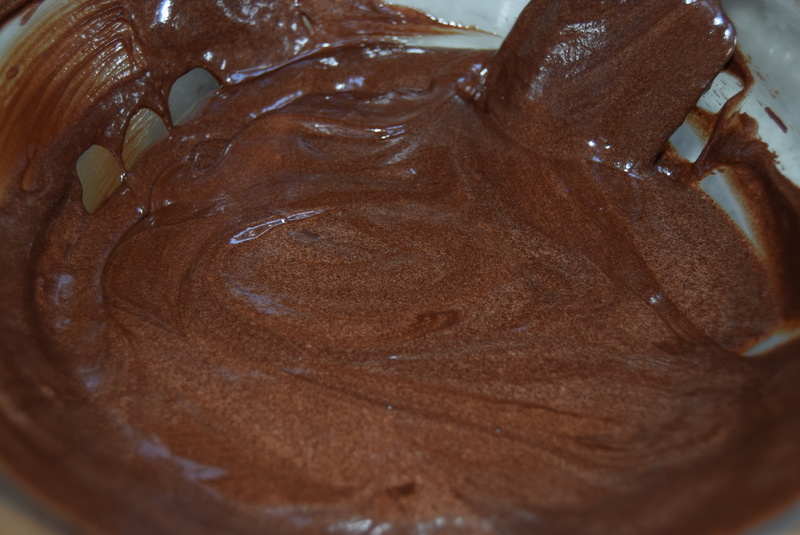 Carefully with a large metal spoon fold the egg whites into the chocolate and egg mix, make sure it is all mixed well but try not to over mix this, you want it to have the air so the mousse is light. Place into your tea cups ( I poured the mixture into a jug and poured evenly into the tea-cups), place into the fridge for about 3/4 hours before serving. 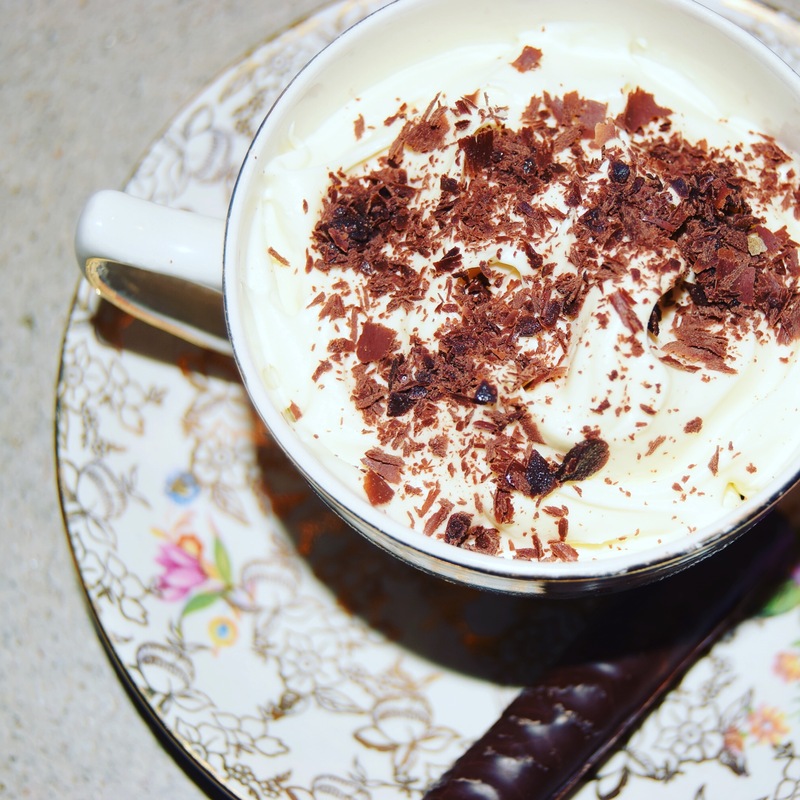 To make it a Tiramisu mousse, pop in the fridge whilst you prepare the cream; Whisk the cream up to be thick then whisk in the mascarpone, and alcohol…I also added a Tbsp. sugar to sweeten it. Place more espresso in a bowl to cool, then soak each sponge finger into the espresso and then pop on top of each mousse…half a finger should be enough each cup. Then neatly spread over a good serving of the mascarpone cream and then grated chocolate on top. I would bring these out of the fridge about 25 minutes before serving. Serve with the saucer and a chocolate covered wafer! Place into your tea cups and place in the fridge for about 3 hours before serving.